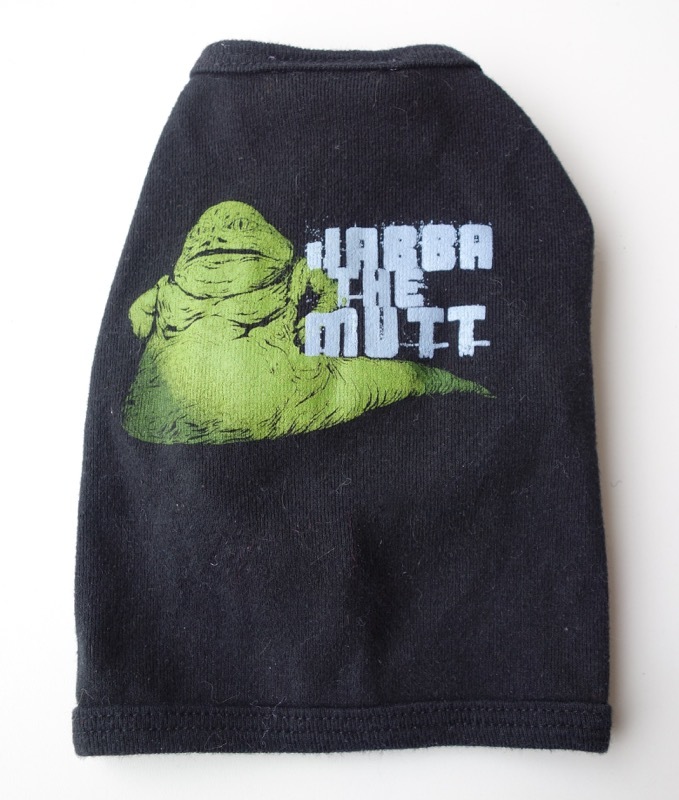 According to the Star Wars Collector’s Archive, this “dog tee” was released in 2005. I’m sure they made different sizes for various breeds, but this one is quite small. Maybe for a terrier or large chihuahua. 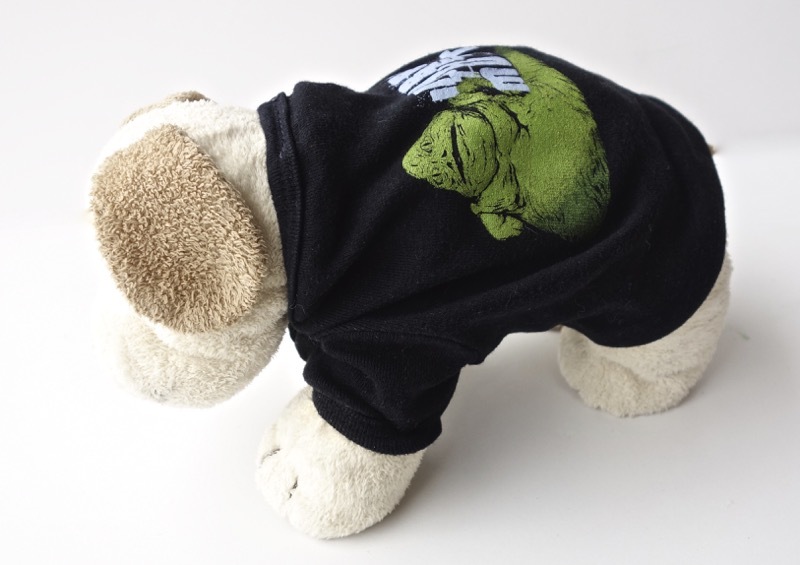 We don’t have a dog (and even if we did, I don’t think I would be dressing it in one of these), so I pressed one of my son’s stuffed animals into service to model it.